Oh my goodness! I cannot believe that we have stayed away from the blog as long as we have! It's been a week. Between my job and guests coming this week (and I'm still grading for tomorrow), and Kathy having happenings in her life…it's been hard to get settled into creativity. PS. Sorry for the low quality photo. Aside from managing to lose my camera, now the charger and battery to my good camera are misplaced as well. Hopefully I should find something by tomorrow! 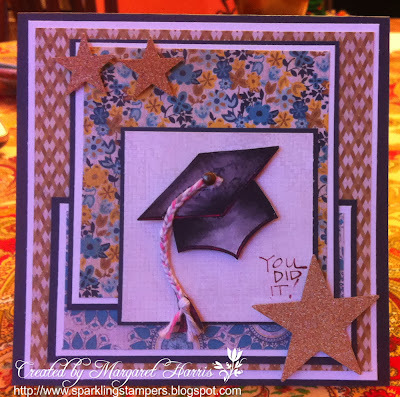 Dies: Stampin Up punches (popped up with foam tape). 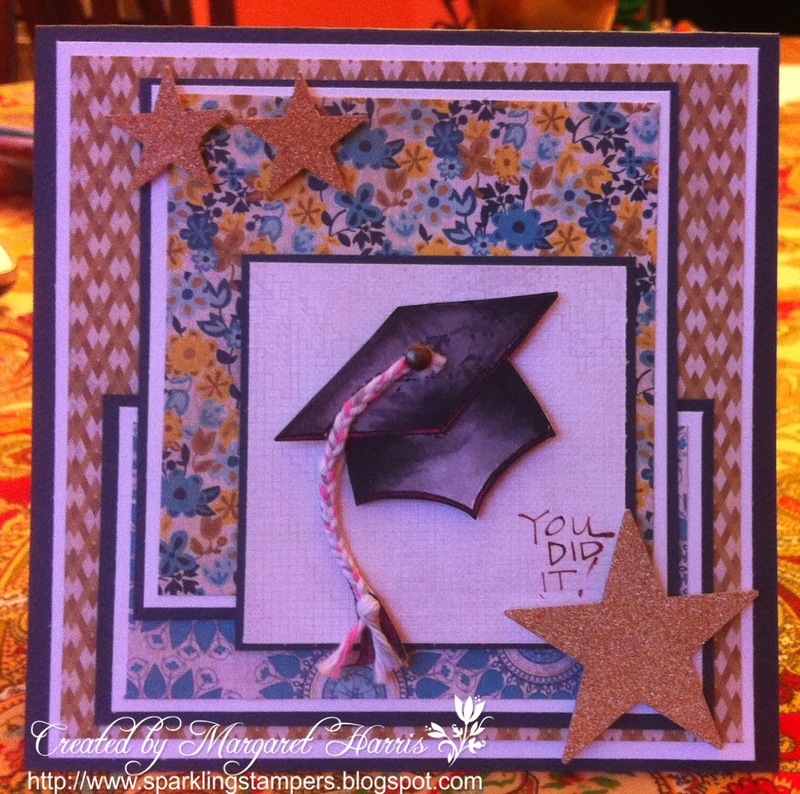 Great card - love the tassel! The stars are a really nice touch. Aren't those bargain bin stamps wonderful??? I think they have some of the best sentiments! A great looking card. Love the colours and fun detail. Thanks for playing with us over at PTW.